The evolution of speaker technology has marked an era in history that will never fade from our memories. Gone are the days when speakers were sensitive to anything, from movement to water and the wind. Today, we have a new crop of waterproof wireless speakers that performs way beyond our wildest imaginations. These speakers strike a good balance between price and features while checking all the boxes with respect to sound, portability, use, and aesthetics. 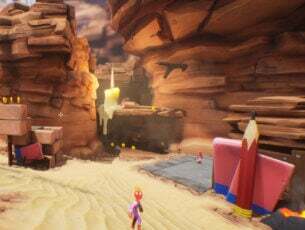 Speaking of use, their portability and compact nature make them useful in all kinds of environments. You can use a waterproof wireless speaker to listen to music by the pool. You can carry them along in the shower or take calls on speaker phone. Outdoor enthusiasts carry them on their camping expeditions to make camping more lively. Even if you don’t plan to carry them out, you can use them with your Windows 10 PC and get the best audio experience. The crème of the latest models of waterproof wireless speakers are innovatively designed with stunning looks and great sound. Many of the latest models are rated IPX7 which means they can not only handle splashes and smashes but also be submerged in water for up to 30 minutes. That is revolutionary. In this article, we will highlight 10 of the best waterproof wireless speakers that you should buy. Durability, style, and awesome sound—the Fugoo Style wireless speaker has it all. With Siri, speakerphone and Google Now support, along with an incredibly sleek design, the Fugoo Style is the perfect combination of beauty and brains. 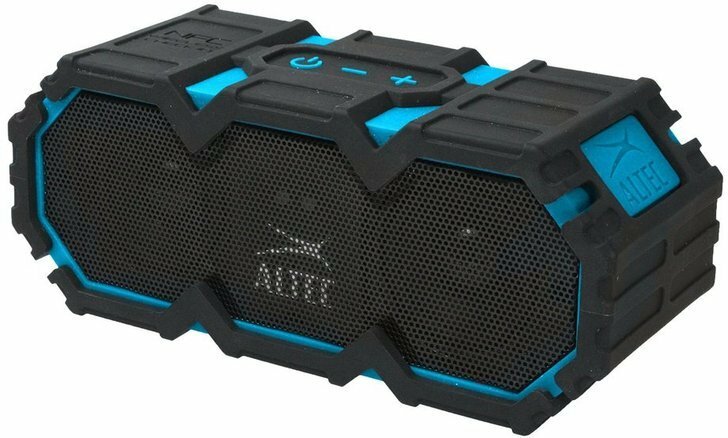 The Bluetooth speaker comes with the highest incursion protection rating of IP67, making it sand proof, snow proof, and waterproof up to a depth of 3 feet for 30 minutes. The 0.9lb device is portable, yet it pushes out louder and clearer kicks than a speaker twice its size. With 40 hours of continuous battery life, the Fugoo Style battery is superior; suffice it to say it’s the best in the market to date. This should carry enough juice to take you through a day and a half and consumers have seen it last longer than that. The 95db speaker pushes out excellent bass and treble tones. The speaker system consists of 2 woofers, 2 tweeters, and 2 active radiators with 4 active drivers. These produce a 360 degrees sound that ensures you listen to music the way it was intended to be. 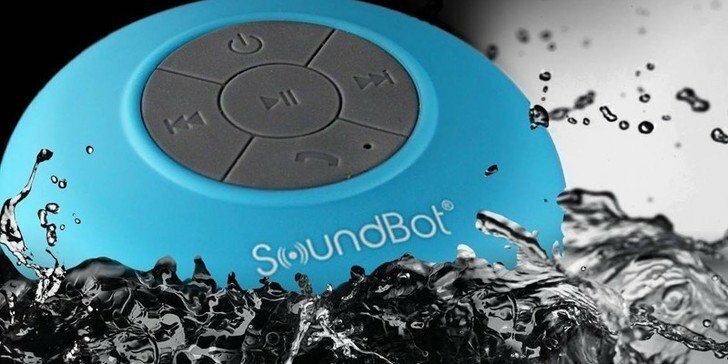 If you are looking for an incredibly discounted waterproof wireless speaker that has great sound and stunning looks, then the SoundBot SB510 Bluetooth speaker should scratch that itch. The speaker is available in a dozen colors so it’s easy to find the one that matches your house décor and style. It comes with a unique loudspeaker cavity specifically designed to deliver premium acoustic sound with full spectrum coverage. The SoundBot SB510 features a universal Bluetooth compatibility technology that is forward/backward compatible with all Bluetooth-enabled devices such as smartphones, tablets, laptops, desktops, Mac, MP3 players and more. Its’ waterproof and splash-proof features make it suitable for everyday indoor and outdoor activities. The SB10 offers enough controls and up to 6 hours of music playback on a single charge which is fairly good for its price. 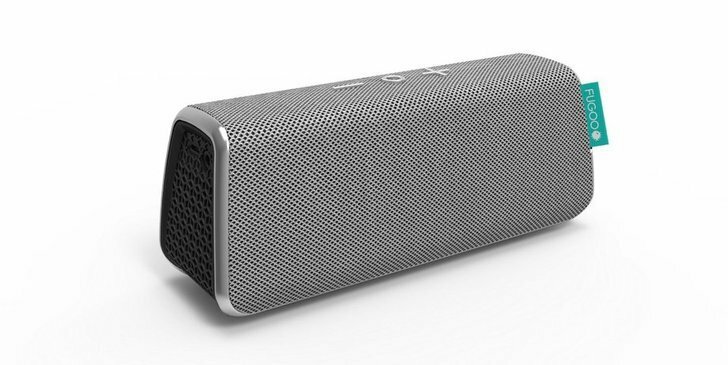 Joining the rare class of IPX7 waterproof wireless speakers is the UE Roll 2 speaker. The UI Roll 2 can be submerged in water up to 1m depth for up to 30 minutes with no corollary sound distortions. At a weight of 330g, it’s lighter than a can of soda. 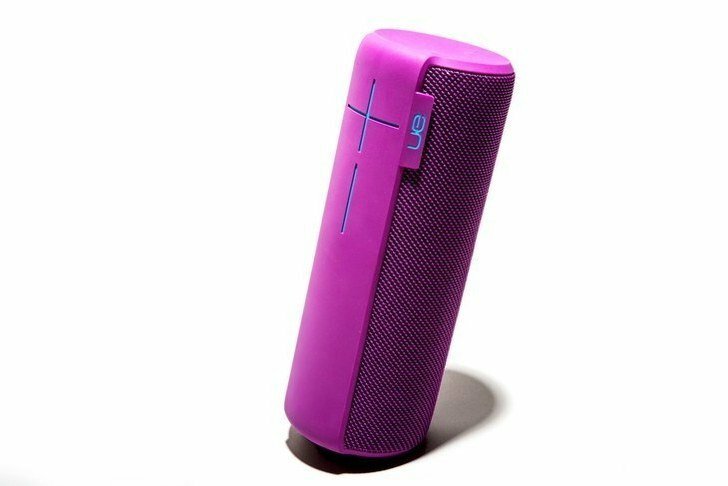 The ergonomically designed Bluetooth speaker is available in different color schemes and delivers quite a punch for an ultra-compact speaker. Its wireless capabilities enable it to pair up to 8 Bluetooth-enabled devices up to a range of 65 feet (20 meters). When fully charged, it can power through 9 hours of continuous playback. 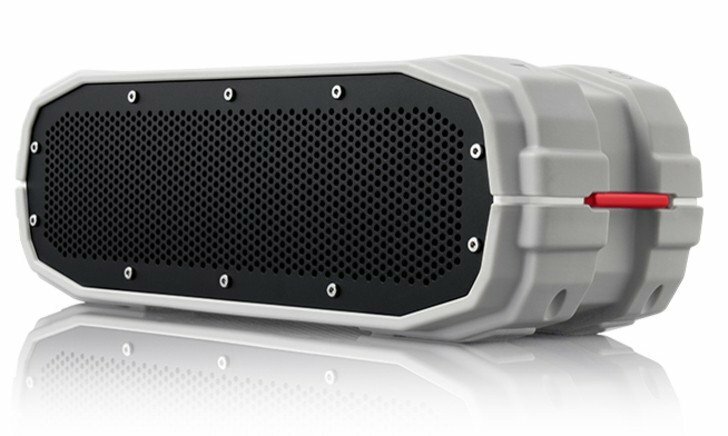 The 1.5 pound Braven BRV X rocks the outdoors with a shockproof rubber exterior and an IPX7 waterproof rating, which means you can drop it in water or roll it down a cliff and it won’t wear. Separate indoor and outdoor modes let you get the most out of the speaker volume. The outdoor mode provides long-range audio while the indoor mode creates rich sound with deep bass that fills the house. The built-in 5200mAh portable power bank keeps the charge for up to 12 hours of continuous playback and can also be used to charge smartphones and other USB devices. 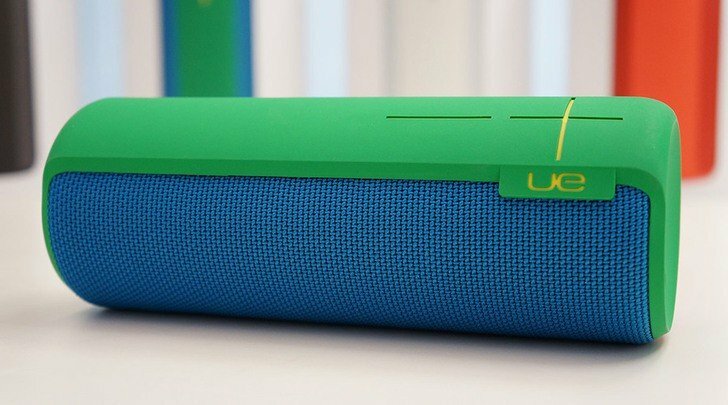 The highly adulated UE Megaboom speaker is waterproof, dustproof, and impact proof which means it can survive in any environment. Just as the name suggests, the speaker delivers pure sound with all the ‘boom’, oomph, and warm articulated sound even in low volumes. And the good thing—you can pair it with another UE speaker to create rich and deep sounds. There is an Android and an iOS app that you can download and use your phone as the equalizer. A single charge can last up to 20 hours and has a high Bluetooth range of 100 feet. The Pulse Shower Speaker is all about elegance and power. 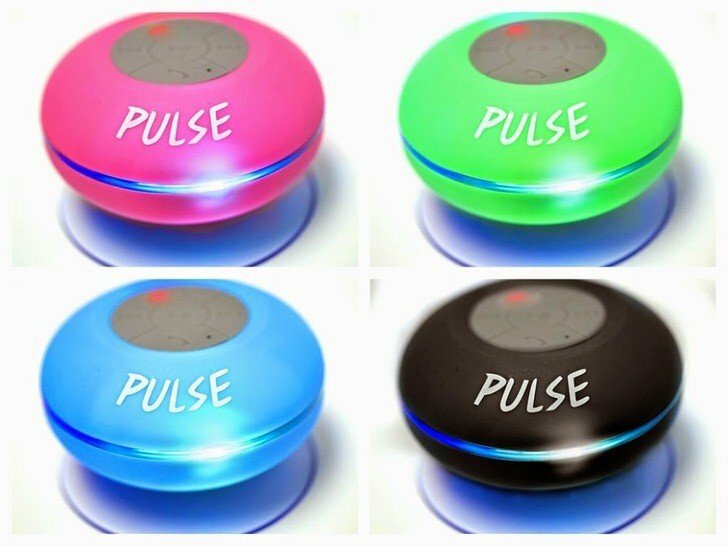 Available in Green, Pink, and Black colors, the Pulse illuminates your bath with LED lights while at the same times kicks out deep bass and even treble, courtesy of the powerful sub-woofer under the hood. The premium 400mAh Li-ion battery can keep you entertained for up to 6 hours of continuous playback. Its universal compatibility allows it to pair with all Bluetooth-enabled devices, including smartphones, iPods, MP3, MP4 and more. 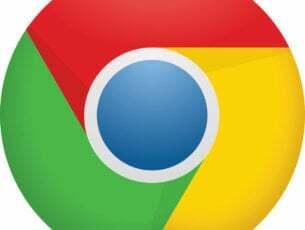 The company also claims that it has low power consumption as it doesn’t require any power at all to function. As one of the top rated waterproof wireless speakers on Amazon, the JBL Charge 3 speaker has a lot to offer including powerful sound and a 6000mAh power bank. You can wirelessly connect up to 3 smartphones or tablets at a time and enjoy a powerful distortion-free stereo sound. The IPX7 rating protects the speaker from splashes while ensuring the speaker’s performance is stellar even when submerged in water. 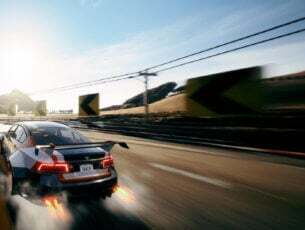 A single charge can blast tunes for up to 20 hours and the Li-ion battery can also be used as a power bank should your phone’s battery run out. 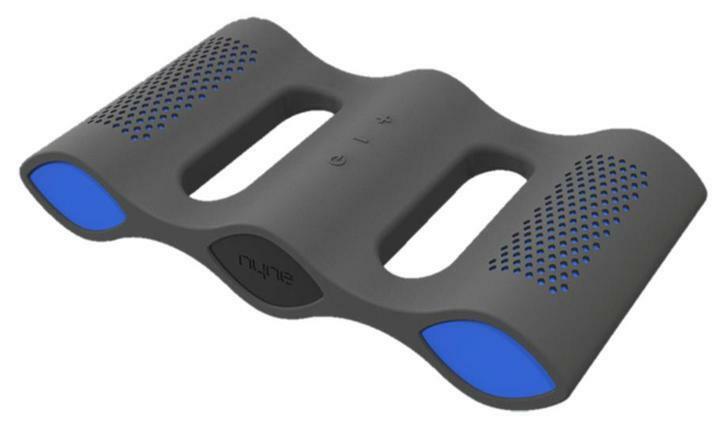 Hailed as the best speaker for use in a pool, the Nyne Aqua Bluetooth speaker can float on water so you and fish can enjoy some tunes when swimming. The IPX7 rating keeps it water tight up to a depth of 3 feet. In addition to the waterproofing features, the Nyne Aqua is also dust proof and shock resistant. And if you prefer to use it in the shower, the Nyne Aqua comes with a hanging strap so you can extend the fun and at the same time answer your calls using the inbuilt microphone. 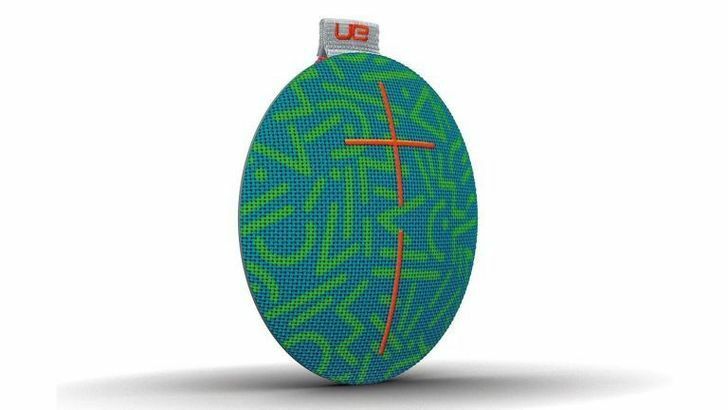 The rechargeable battery can blast tunes for up to 10 hours on a single charge. Innovatively designed and available in eye-catching colors, the Boom 2 continues the legacy of the Ultimate Ears, delivering crystal clear 360 degrees sound. The IPX7 ratings keep it water tight up to 30 minutes at a depth of 1 meter. With Google Now and Siri integration, you just have to say it and the Boom will listen and play. And just like its bigger brother Megaboom, the Boom 2 can also wirelessly connect with up to 50 more UE speakers while allowing you to use your phone as the equalizer via the companion app. The 15 hours battery life is generous and should keep the charge for a day depending on the use. The Altec Lansing iMW575 Bluetooth speaker kicks out high-resolution audio and comes with Voice Confirmation features and a microphone for hands-free communication. The IPX67 waterproof rating ensures the speaker is completely waterproof and shockproof. This portable speaker comes with powerful 2.5-inches drivers that deliver rich sound and a powerful battery that can keep the party going for up to 16 hours on a single charge. It works with all Bluetooth and NFC supported devices. Waterproof wireless speakers come in many shapes and sizes and different waterproof ratings. There are those that come with IPX7 rating (highest), IPX67 rating, and others IPX5 (only splash proof). Some come with advanced wireless capabilities with support for NFC and Bluetooth 4.0 while others major in sound quality, incorporating powerful sub-woofers, drivers, and radiators. 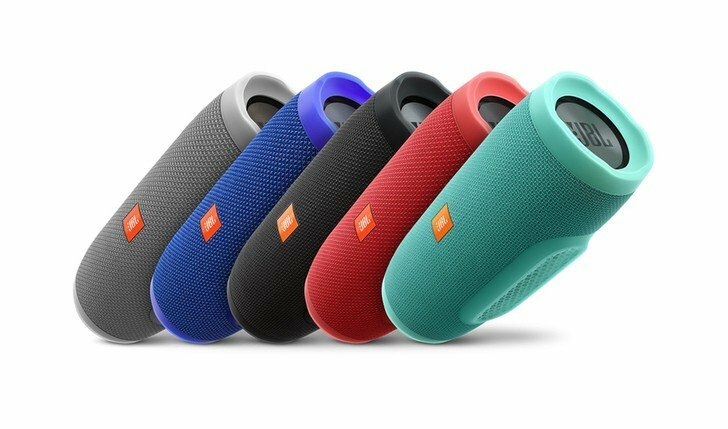 In this article, we have taken all these factors into account while also considering the price for those who prefer cheap yet powerful waterproof wireless speakers. Hope you found the article useful. Feel free to comment and share.